Every successful construction project starts with a solid framework. The cornerstone of this framework is the belief that we are building community by adding value and providing quality, affordable, amenity-rich multi-family living spaces. At Hull Associates, we understand your unique goals and we are committed to building successful partnerships with our clients for the long-term. 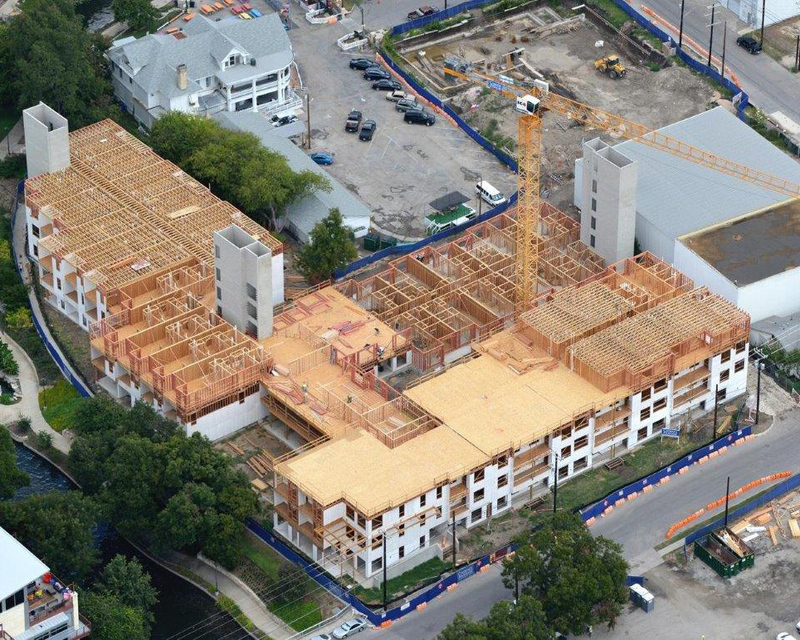 It is through these partnerships that we have been able to provide high quality, turnkey wood framing services to the multi-family construction industry for more than 36 years. 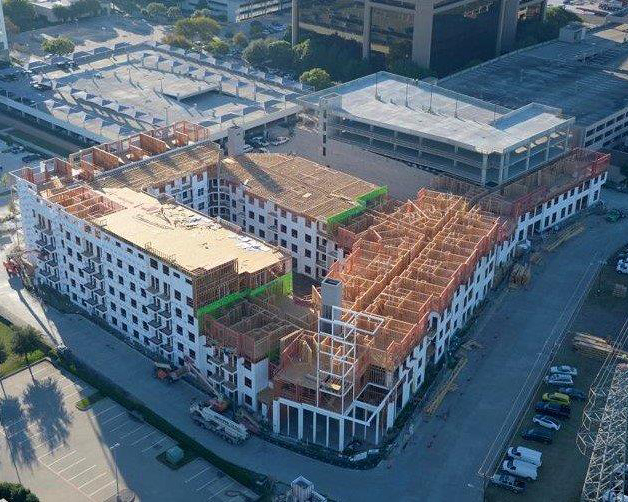 Apartment builders rely on us to provide professional, exceptional, cost-effective framing from project start to finish—on schedule, and within budget. Our commitment is our mission. We are committed to delivering the highest level of performance excellence in our framing solutions, building quality, superior customer service, and safety in order to create lasting value for our client partners, company, employees, and subcontractors. Safety is a top priority. Our collective commitment is to ensure the safety and protection of our people over competing goals. We employ a full-time Safety Director and two Safety Managers, who inspect jobs on an ongoing basis. Hull follows the National Framers Council’s FrameSAFE Safety Program and Fall Protection Plans. Quality is central to everything we do. Hull conducts quality inspections throughout each project, and takes care to ensure every job is completed following agreed-upon plans and specifications. We strive to demonstrate integrity by showing honesty and accountability in all our business conduct, including dealings with clients, suppliers, our employees, and subcontractors. 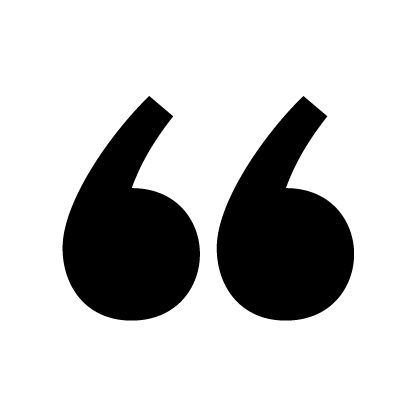 We demonstrate our understanding of these values and principles and uphold them in our actions. Our culture of teamwork allows us to work together within the company, and with clients, suppliers, our employees, and subcontractors, to deliver better solutions and collectively accomplish our goals. Excellence in reliability and consistency are the hallmarks of our relationships. Our clients know they can rely on us to stay on schedule and provide high quality, consistent work in every market we serve. Hull Associates has been a critical sub-partner for Trammell Crow Residential throughout north and central Texas over the last seven years. They have framed over 20 projects or 6 million square feet for our division with all projects delivered on or ahead of schedule. Each of these projects have been high density infill podium or wrap type projects with logistical challenges on each of them. The Estimating & Pre-Construction procedures are second to none for the multi-family construction industry, with the majority of actual construction issues identified prior to construction start. The team approach, dedication to quality, schedule and controlling costs/value engineering are all areas that make the Hull group one of the best multi-family framing contractors in our region. Hull Associates has been a subcontractor to Jordan Foster and CF Jordan for years and we plan to continue that relationship for years to come. Hull’s team is comprised of seasoned individuals who believe in and commit themselves to customer service and delivering a quality product on schedule. We all recognize in the multi-family business that we are in a difficult labor market, and yet Hull strives in every sense to provide excellent supervision and leadership to its labor force, which is second to none in this subcontractor market. If they make a mistake, Hull owns it and works to correct it without delay, which helps define a company embodied by the desire to be the best and always do the right thing. We at Jordan Foster value our relationship with Hull and appreciate the experience, integrity and professionalism they bring to our projects. 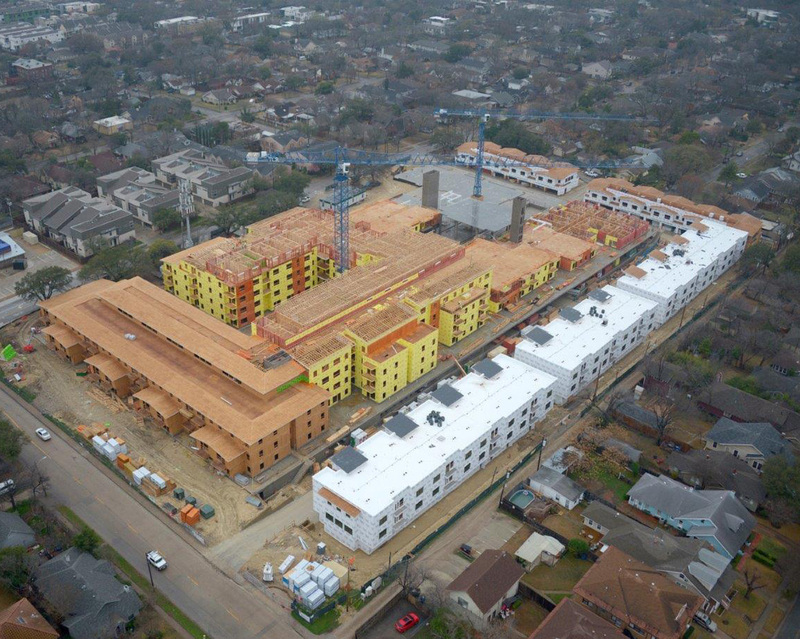 My relationship with Hull Associates has spanned twenty-five years on multiple wood frame apartment projects in the State of Texas. Our method of contracting with Hull has been a turnkey subcontract that involves labor, rough carpentry materials (lumber), pre-fabricated wood trusses, and all associated hardware. These contracts are now in the $5-8 Million dollar range. I consider Hull to be the pre-eminent multi-family rough carpentry contractor not only in Texas, but in the Southwest region of the United States. The people within this organization are extremely strong technically and most often guide the structural engineers to the most efficient final design from a cost and constructibility stand point. They are first class in the “pre-construction” effort. The supervision at the jobsite level is extremely professional and knowledgeable. Get them involved early and often! They will be one of your best “team players”. My experience over the years is they are very schedule oriented as they understand “time is money”. Most if not all of the projects I have been involved with have been completed within the schedule requirements of the master schedule. We have worked with Hull Associates for the past 15-plus years. They are our go-to wood frame trade contractor. Several years ago, we strayed and used a few different framers. That was a big mistake. Presently, if wood framing is part of the construction, we only use Hull Associates. We are looking forward to many terrific projects together in the future. I have had a relationship with Hull for more than a decade. In that time, we have developed a relationship of trust and professionalism that provides security, knowing that every step of the construction process, from the first stage of pre-construction through project completion, will be managed to the highest level. The team at Hull understands the importance of both budget and performance and always works diligently to execute their work. They value relationships and work very hard to deliver on expectations. Cadence McShane has enjoyed a great working relationship with Hull over the years. Their team has been very responsive to our project needs during preconstruction as well as while executing in the field. We look forward to a continued relationship with them in the future. I have worked with Hull for about 15 years on numerous multifamily projects including all product types from gardens style apartments, wraps, podiums and Mixed use. I feel that the projects that Billingsley builds are high caliber, complicated and detailed developments that require the best contractors with the most experienced personnel. This is where Hull excels in planning a successful project, using the best techniques, most efficient means and methods, sequencing, logistics and speed. These guys are top notch!